Are you thinking that our Sublimation Mugs look like a great promotional coffee mug but wondering exactly what “sublimation” is? 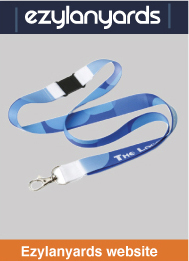 Essentially, it is just a logo print with a photo style finish. This printing method allows for both text and images as well as the use of gradients in the printing. 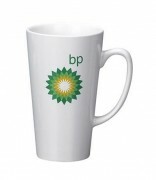 Sublimation printing of branded mugs provides an overall different look to a pad or wrap print, and is a great choice if you need to combine logos, company names or photos on a promotional mug. 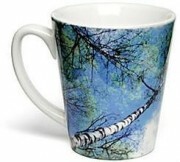 Our Sublimation Mugs are made on a selected range of our Ceramic Mugs including the Calypso, Can, Flare, Square, Tower and Vista. Because of this, you get the same high quality product that you would receive if ordering our Ceramic Mugs. Similarly to a lot of our promotional coffee mugs, our Sublimation Mugs are a great choice for events, promotions and corporate gifts to suit almost all of your customers and clients. These mugs will look great in any work place, and with the sublimation print method, your logo, text and photos will stand out. Our Sublimation Mugs also make great gifts for sporting teams and community groups as gifts to their sponsors and as something different for a fundraising item. If you need a high quality promotional mug that has printing options away from the standard printing style, our Sublimation Mugs make a great branded coffee mug item. Marketing can be a very difficult game; competition in every sphere is very high and maintaining business relationships is a lot about having the right products or services and very importantly, having the right sales and marketing strategy in place. In many ways, after a while, you may start feeling that you have tried all the possible things to shine the spotlight on your brand and product, but would like to still do something different to make a major impact on your clients and customers, and bring your business to the fore. 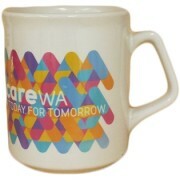 The one way to really make an impact is to use unique promotional items like Personalised Photo Mugs. We at Ezy Mugs have been operating in this space for a number of years know what it takes to get the marketing game right. 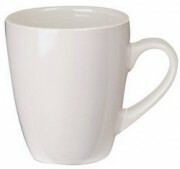 These promotional mugs that you can buy from us for your corporate promo campaigns are a very stylish and inexpensive method of getting your brand name out there. Not only can you gift them to new and potential customers, but it’s a great way of showing your appreciation to the existing ones as well. 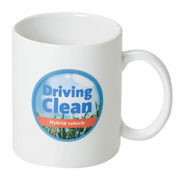 Its true that numerous businesses use Promotional Mugs as corporate gifts, promotional giveaways and event gift bag. But we like to take this concept one notch higher and provide a range of options in terms of the shape and style of the actual mugs and the high grade printing on them. This is what adds to the attraction quotient of the products and goes a long way in impressing your branding on the minds of your customers. You can choose from classically-styled coffee mugs or from our stunning range or porcelain or ceramic mugs. These high quality promotional mugs are in a class of their own. 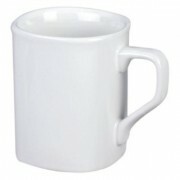 While the porcelain Photo Mugs are more pure white in colour, the Bone Mugs have a warmer creamy white colour. Regardless of the option you choose, it’s a win; no matter what colour your logo is or the photo you want to print, it stands out very prominently on these white surfaces of the mugs. 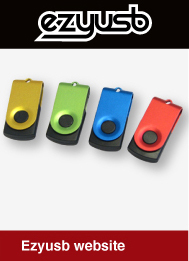 These are the perfect promotional items in the corporate space where style & quality matter a great deal an impressions and perceptions matter too. Our customised Photo Mugs look as great on a CEO’s desk as they do on a reception table. We also have a very easy ordering process and you will find our products to be very cost-effective, considering that you get very high quality, well-finished and well printed Personalised Photo Mugs. 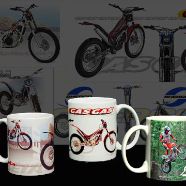 Regardless of the quantity of mugs you need for your promotional campaign, we can provide you the best solutions. We are the specialists who know what it takes to get the branding right. You will find a variety of mugs to choose from and you can also opt for ones of different styles and colours, to make the right impression. 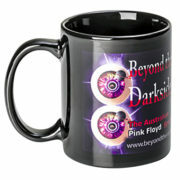 For more information about our products, call Ezy Mugs at this number- 1300 753 675. If you can’t find a particular mug you are looking for, simply use this online form to contact us and we will respond without delay.